Headaches often get brushed aside as nothing more than a common complaint, a quit-your-whining-and-start-working type of thing…if only. While many people suffer them at one point or another, rarity is not the best way to judge just how nasty something can be. The pain of a headache can make day-to-day life a miserable challenge, and forces us to head straight for the aspirin. This is a sticky situation, because ultimately that will only perpetuate the problem. When you take over-the-counter pain killers all you’re doing is smothering your symptoms and ignoring the real issue of what triggers the headache. Natural remedies for headaches may take a bit more thought than simply popping a pill, but don’t brush them off. They won’t wreak havoc on your body like other over-the-counter or prescription pain-killers do, and you’re less likely to become so dependent on them that you need them for every little ache. Utilizing something spicy may not sound headache helpful, but cayenne is somewhat revered in the kingdom of natural remedies to treat pain and inflammation. The secret behind its success lies in an ingredient called capsaicin, which inhibits something in our body that is one of the main elements in pain perception called Substance P. In short, Substance P is part of what makes us feel pain, and the capsaicin depletes it. Numerous studies, the first in 1998 in The Clinical Journal of Pain, support that when applied topically to the nasal passages; people experience a significant decrease in the severity of their headaches, all thanks to capsaicin. 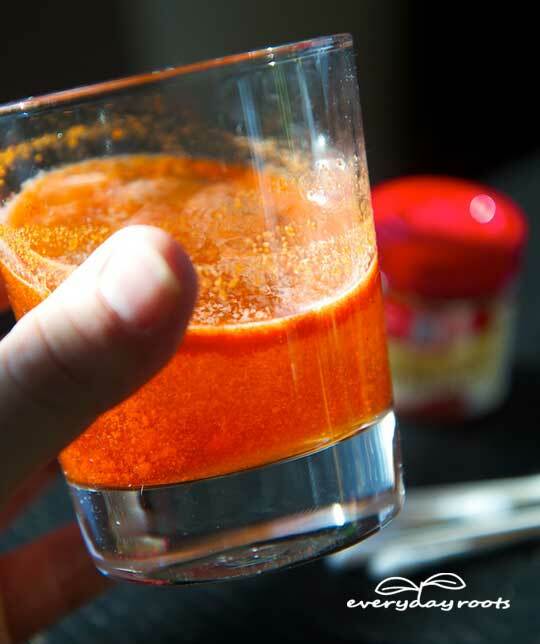 Dilute a ½ teaspoon of cayenne powder in 4 ounces of warm water. Soak a cotton swab in the solution and stir it around to make sure it’s covered-the powder can sometimes sink to the bottom. Apply the moist swab gently to the inside of each nostril until you can feel the heat. It may be a bit unpleasant at first, but take the burning sensation as a sign that it’s working. When it subsides, your headache will hopefully be wiped out, or at the very least better than before. 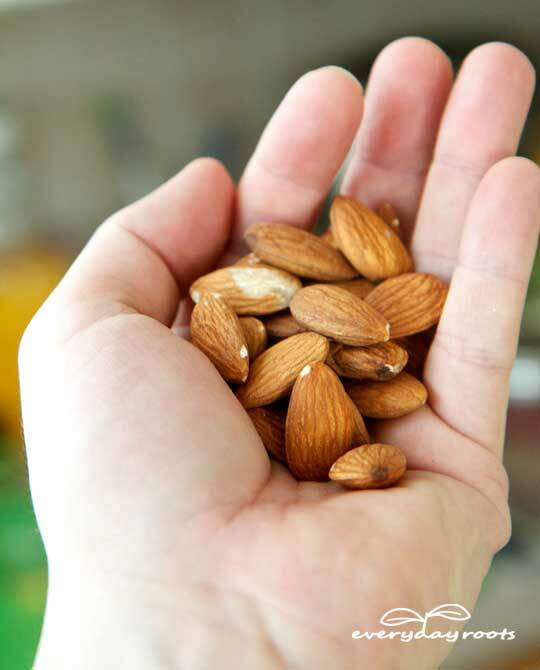 Instead of popping a pill when you get a headache, toss back some almonds. For everyday tension-type headaches, almonds can be a natural remedy and a healthier alternative to other medicine. It acts as a pain reliever because it contains something called salicin, which is also an agent in popular over the counter killers. Try eating a handful or two of these wholesome nuts when you feel the ache start to set in. Headaches, particularly migraines, can be relieved through the use of the feverfew plant. When a migraine is in the works your blood vessels are changing, and theories suggest that the vessels in your head are expanding and pressing on nerves. Feverfew has been confirmed to relax the tension/constrict blood vessels, easing the painful pressure. It also reduces inflammation and pain overall with a substance called parthenolide, which has results similar to taking a daily aspirin, but without the side effects. Add 1 ounce of fresh or dried feverfew flowers to 1 pint of boiling one. Steep for 10 minutes, and then strain. Drink half a cup twice a day as needed. Apple cider vinegar (ACV) has a long history in realm of natural remedies. It’s been used to relieve everything from scurvy to hay fever, and just about any other ailment that falls in between. Some modern day studies have proven its effectiveness in treating certain illnesses, but most of its clout lies in the reports of people throughout the centuries who have benefited from it. 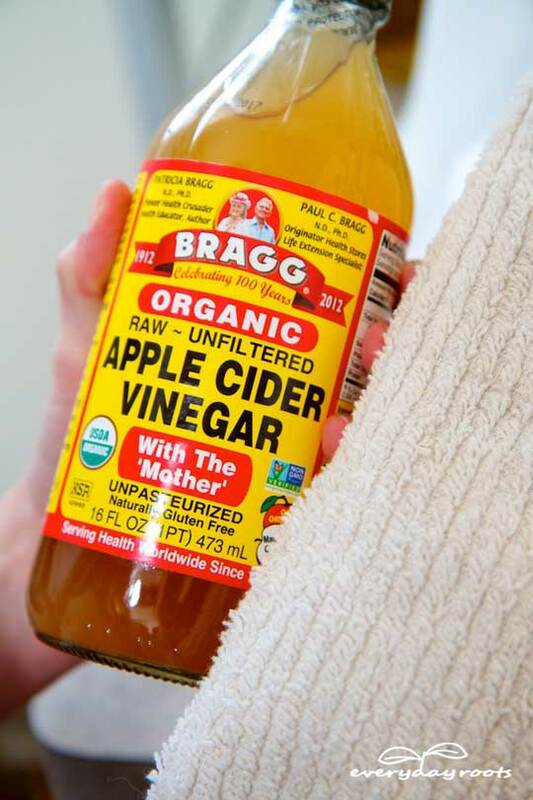 If you find yourself coming down with a throbbing headache, try getting some quality ACV time into your day in the form of a steam-style treatment. Pour ¼ cup of apple cider vinegar into a large bowl, and then fill the bowl halfway with boiling water. Place a towel over your head so that it drapes over the bowl, trapping the steam, and hold your face over it. Make sure your face isn’t so close that it gets burned by the steam. Do this for 5-10 minutes, or when the water starts to cool down, breathing in and out deeply the whole time. When you’re done, use the towel to pat your face dry, and go drink a glass of cool water. Our lives are fast paced, busy, and filled with more than a little stress. Our overworked minds and bodies react to this by tensing and knotting up muscles, usually in the upper back, neck, and shoulders. Thanks to a little something called referred pain-pain felt in an area other than where the actual painful stimulus is-we end up with tension-type headaches. To help head these buggers off, try some of the following tips. Do yoga: Yoga will get your mind focused, stretch out your muscles, and get you moving in ways that can help you drop the tension-and if you drop the tension, you can drop the tension-headache. Just doing a few moves when the pain starts up can help, but the best thing to do is a set aside a few minutes each day to practice regularly and prevent headaches before they happen. Breathe: You may think your breathing alright, but if your head is pounding you’re likely not getting the most out of the oxygen you take in. In general we take breaths that are too shallow, and when we are experiencing pain or stress, we definitely breathe to shallow. Make a conscious effort to take deep, full, breaths that start in your diaphragm and fill up your lungs. This will get your plenty of fresh oxygen circulating through your blood and will also help relax your mind and body. Drop your shoulders: This is one I remind myself to do about 5 times a day. Make yourself aware of how you carry your shoulders. When you think of it, tell yourself to drop them down. You’d be surprised at how often we carry them hunched up too high, resulting in soreness and, of course, headaches. An aching head does not inspire one to get active, but getting up and moving-outside in fresh air if possible- can help loosen up tight muscles causing a headache. It also gives you something to focus on to take your mind off the pain. Good exercise also releases endorphins, which can dull the uncomfortable sensation caused by a headache. To get the most out of your activity, keep in mind the following tips. Stay regular: Exercising only when you feel like it is less likely to prevent headaches then exercising on a regular basis. Routine also gives your body just that-routine. Routine helps us function, at least physically, better than we might if we didn’t have any. Warm up and cool down: Take your time getting yourself warmed up and properly cooled down. Jumping into strenuous activities and then abruptly stopping is more likely to cause a headache then stop it. Enjoy the outdoors: If possible, exercise outside. The invigorating fresh air and change in scenery does something that just makes our bodies and minds feel good. There are some small-scale studies that show the ingestion of fish oil can help reduce migraines and head pain, thanks to its omega-3 fatty acids, which promotes heart health. The American Heart Association states that the ingredients in fish oil may help reduce inflammation, blood clotting, lower blood pressure, and steady heart rhythm. Those actions in turn may help reduce head pain because it may reduce the inflammation of blood cells that press and pinch on nerves. If you are taking fish oil capsules, follow the dosing on the bottle. 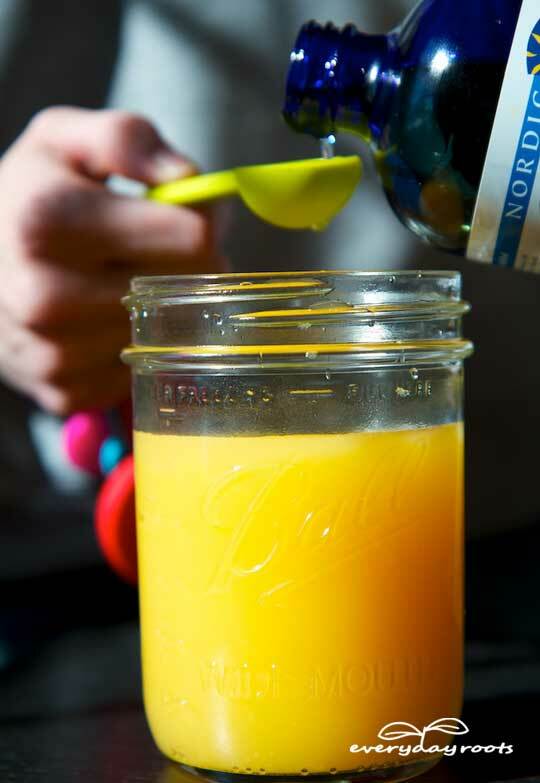 If using the actual oil, mix a tablespoon into a glass of cold orange juice and drink up! It’s really not as bad as it sounds. Headaches are tricksy little things, with what clears them up for one person totally triggering them for another. There’s evidence to support both hot and cold compress treatments, and it all has to do with the muscles and blood vessels. Some headaches are caused, at least in part, by expanded blood vessel pressing on nerves. For these, applying something cold to the area can constrict those vessels and relieve some of the pressure causing the throbbing ache. Other headaches are caused by tension and anxiety, and cold tends to tighten up muscles that then pinch nerves and enlarge blood vessels. You’ll have to play around to see if you’re someone who benefits from cold/ cool treatment or hot/warm, while some people find alternating between the two works best. 1. Cold compress, such as a bag of frozen peas, a bag of ice, or a cold pack. 2. Hot compress, such as a towel soaked in very warm water. Find a quiet place to lie down, preferably where you can dim the lights or turn them off. Place the cold or hot compress on your forehead and relax. At some point, try switching to the back of your head, or the top, depending on where the pain is concentrated. 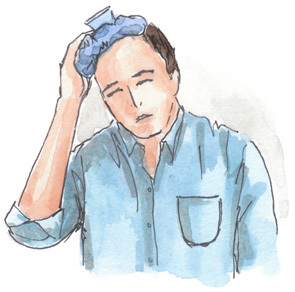 You can also try a cold compress at one location and a hot compress on another, either on your head, or place the hot compress on your shoulders if your headache is from tension. Do this for as long as you feel you need to. Try sipping fresh water through a straw if you can manage during or after the treatment, and make sure to ease back into your daily routine-don’t just dash onto a crowded street in blinding sunlight. Tip: Here’s how to make a good hot compress at home that won’t least its heat as quickly as a warm washcloth. Monosodium glutamate (MSG) is added to food to enhance its flavor. It is derived from an amino acid, called glutamic acid, which occurs naturally in various foods. Many people who suffer headaches find that foods containing MSG triggers migraines or other types of headaches, possibly due to the fact that it excites our neurons. Make sure you read food labels to check if the product has MSG, the FDA is requires companies to list it, however it can also be hidden as a component of other ingredients. Watch for some of these words, which can give away “hidden” MSG, and be extra cautious around Chinese food, processed meats, canned vegies, gravy/soup/dip mixes, and soy-based items. Improving your posture can make all the difference in the world when it comes to tension-type headaches. Many of us spend our days working in an office or sitting down at a computer with little to no movement, and many of us are guilty of poor posture. We slouch, slump, and hunch forward, which strains our muscles and creates nasty headaches. Try using an ergonomic chair if you’re sitting down a lot, and make a conscious effort to sit up tall but relaxed, with your shoulders back, your chest open, and your neck not sticking too far forward. Working on strengthening core muscles helps a lot with posture, since balance and the strength to support ourselves properly comes from mostly from our center. Mental imagery has been shown to reduce headaches, whether mild or severe, by helping people relax and loosen up the knots that may be causing the pain. There are guided imagery coaches, but you can also do this on your own. Imagery exercises create a “mental scape” that is calm, peaceful, and pain free-your happy place, if you will. To work on your ‘scape, try the following. Find a quiet place to close your eyes and use your mind to fill your head with something other than pain. Picture rolling hills or waves lapping over sand, even just creating a landscape of soothing colors can be helpful. Try adding a quiet soundtrack to this exercise; be it sounds of nature or just a soft song that calms you down. Breathe and be patient. Also, be patient. And then be a little more patient. Don’t get worked up because your headache isn’t gone after you spent 30 seconds impatiently picturing a tree, this stuff takes practice and some dedication (and patience) but it’s worth it. Prostaglandin synthesis is a process that takes place in some animals (including humans) that makes lipid (fat) compounds within their cells. Those fatty substances are like little chemical messengers that mediate biological processes, like inflammation, and alerting neurons to pain. Certain enzymes spark off the prostaglandin synthesis, while some drugs, such as aspirin, inhibit the synthesis. Gingerroot, a natural alternative, is thought to inhibit the synthesis as well. On top of that, if you’re getting knocked with a migraine, it can help quell your nausea. Simply sip a nice steaming cup of gingerroot tea and relax while you wait for your headache to ease up. Slice 3 slices off of a piece of raw gingerroot, with each being roughly the size of a quarter. Gently simmer the pieces of ginger in 2 cups of water, covered, for 30 minutes. 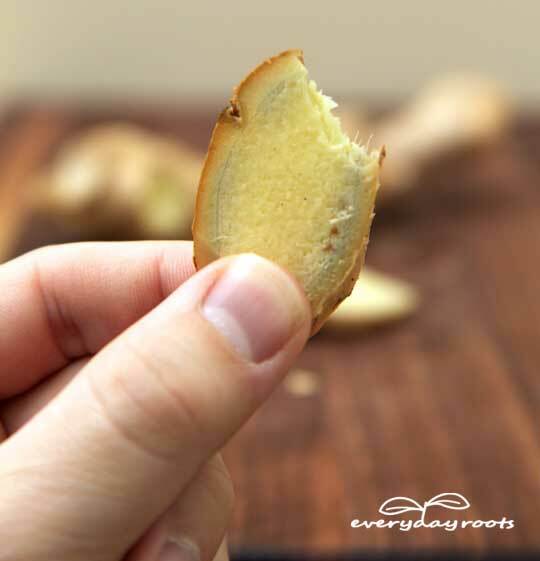 Use something to remove the pieces of ginger and transfer to a mug, or if you prefer, leave them in. Sip slowly and breathe in the steam if you want. Relax! Peppermint oil has a wonderfully soothing effect when you’re suffering from a headache, easing the discomfort and clearing your mind. It can be applied to various places, and people who use it find that it works quickly to relieve pain. If you have sensitive skin and find that it irritates it, try diluting it with a bit of olive oil or water. Massage the peppermint oil onto your temples, the back of your jaw, and forehead. You will feel a cooling sensation upon applying it. Breathe deeply, and if possible, find a quiet place to relax and sip some cool water. Butterbur refers to plants found in the daisy family. Long used by Native Americans as a remedy for headaches and inflammation, Butterbur has gained more and more credit lately in the world of western medicine, and the American Academy of Neurology and American Headache Society both endorse butterbur for preventing migraines based on at least two strong clinical trials. It is thought to be effective because some Butterbur species contain chemicals that work in two ways, one in which inflammatory effects of certain chemicals are lowered, and the other being that it functions as a natural beta blocker, which results in normal flow of blood to the brain. That in turn can help control blood pressure/the spasmodic capillary action that can cause migraines. The highest concentration of the plants helpful chemicals are found in Butterbur root. Please Note: The usual adult dosage is 50-100 milligrams twice daily to help reduce severity of migraines/ prevent them, but check with a healthcare practitioner before using butterbur as a migraine treatment. Look for a brand of extract labeled PA-Free, which ensures that it was safely processed to remove potentially harmful, toxic, chemicals found naturally in the plant. Pretty straightforward-chocolate and the caffeine it contains make it a common trigger for headaches in many people. Vitamin B3, also known as niacin, is a water-soluble B vitamin that may trigger vascular headaches, thanks to something called a “flush.” Niacin dilates (opens up) the body’s blood vessel, right down to the small capillaries, which increases blood flow. While it can be helpful in some cases, it may cause a headache triggered by the pounding blood flow and possible nerve pressure caused by it. It’s best to talk to a healthcare practitioner about B3 to know how you should properly take, or if it will be helpful. Holding a pencil between your teeth (holding, not biting or clenching your jaw) can help a tension headache dissipate. The actual physical action of holding the pencil between your teeth activates your “smile” muscles, relaxing your jaw. We often times clench our teeth when stressed and this in turn strains the muscle connecting the jaw to the temples and causes a tension headache. Again, make sure your jaw is relaxed and the pencil is held lightly between your teeth. On average we don’t drink enough water daily, and that alone is cause for a headache. Coffee, alcohol, sugary drinks-all can dehydrate you (hence the pounding headache that comes along with a hangover) and should be avoided. As soon as your head starts to hurt, drink a tall glass of water, and then sip throughout the day. Gradually the pain will start to ease up, and you’ll be hurting less and well-hydrated to boot. Simply drinking water may seem too obvious or simple to actually work as a headache remedy but it can, and often time’s does. We humans often just seem to feel the need to make things more complicated than they are.